One Hundred and Thirty Years after our founding, the mission of the Stonington Free Library remains the same — to enrich lives and build community by bringing information, ideas and people together. Today, our 3,300 cardholders have access to 33,000 print and digital media items, online subscription services, and a range of programming for adults and youth alike. But our story began with a donation of just a single dime . . .
As told by Martha Todd Hill in her 1891 ‘Story of the Stonington Free Library’ the fortunes of The Ladies Book Club were at a low ebb in 1887. “One Sunday evening in May 1887 a lady spoke of a new plan just undertaken in New Haven to raise money for a local charity. Turning to another guest, she requested him to give her ten cents. That dime began the Stonington Free Library. Each lady asked two others and the dimes came in. …. “In this way 330 dimes, representing as many givers, were gathered…. With the $33 dollars thus collected thirty-eight books were bought”. 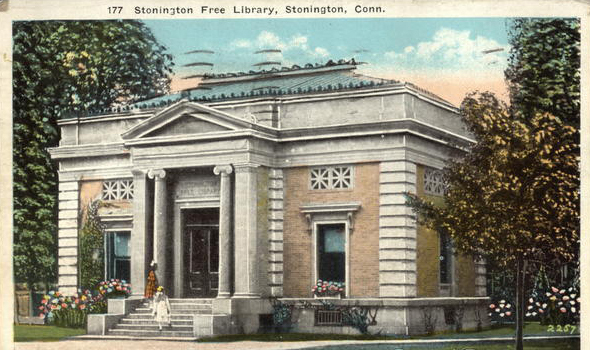 In 1887, a committee was formed "to see if a Free Library [was] practicable" for Stonington. The first meeting of the Stonington Free Library Association, as it came to be called, was held early in September, 1887, and the decision was made to establish a Free Library in the borough, its mission being “the promotion of literary interests in the Town of Stonington by sustaining a Free Library Reading Room and Museum”. 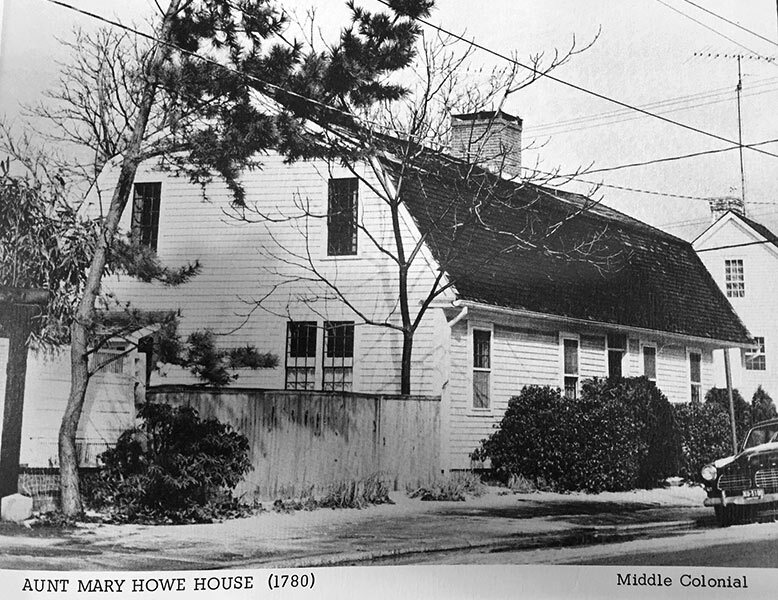 The "Aunt Mary Howe House," on the corner of Main and Church Streets, was rented for $100 a year as quarters. The Library was incorporated in 1888 as "The Stonington Free Library Association", a Connecticut non-stock (non-profit) corporation and has remained continuously in existence to the present time. The first Librarian was Annie J. Wilkinson. The Howe house was an adequate home for the Free Library at first, but a new and larger building became necessary to house the growing collection of books and provide an adequate public reading room. Two public-spirited men with Stonington roots, Samuel Denison Babcock of New York and Erskine M. Phelps of Chicago, each pledged $8,000 if the residents of the town would raise $4,000. Before long the challenge was met. Fund raising began and was mainly done through the staging of operettas with local talent – “Robin Hood”, “HMS Pinafore” and “ Bobby Shaftoe”. It was proposed that the Library be built in Wadawanuck Square, the site until 1893 of the famous Wadawanuck Hotel, which had been razed. 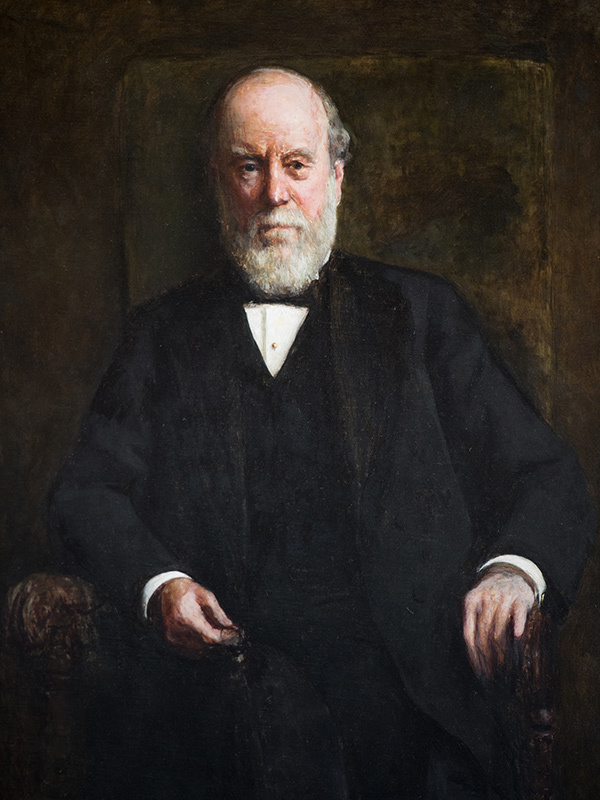 On September 15, 1898 a meeting was held in the Borough Hall to accept the property as a gift from the heirs of Samuel Denison Babcock. A provision in the deed stipulated that a building be erected on the property to be used as a circulating public library and reading room, and that one room be used by the Stonington Historical and Genealogical Society. The Historical Society Library moved to the Society’s new Library in the Palmer House in the 1990’s. Messrs. Clinton and Russell of New York were hired as architects and Norcross Brothers of Worcester as contractors to construct the building. The new library was formally opened on March 25th, 1900. This handsome structure served the needs of the Borough and the surrounding area for many years. But eventually it was recognized that more space was needed, both for books and for an additional reading room. Through the generosity of Dr. Frederic C. Paffard a new section, designed by John E. Dodge of Stonington, was added on the north side of the old building and opened March 15th, 1956. Thirty years later it was again apparent that more space was needed, and that the original part of the building needed a face lift. Mr. and Mrs. Jacques Wimpfheimer, owners of the American Velvet Company, donated $350,000 toward a new wing in memory of their son, Jocko, who died in Africa in 1987. Another $400,000, raised through donations, paid for renovations to the existing structure and to establish an endowment fund. The Stonington Garden Club gave $4,000 for new plantings, and the Village Improvement Association replaced the park benches in the square. Ken Best of the firm of Galliher and Baier in Simsbury, CT designed the wing to complement the 19th century architecture of the original building. The Wimpfheimer Wing, which was dedicated on July 6, 1990, added 1,000 square feet of floor space and doubled the library's shelf space. Renovations to the existing building included air conditioning and humidity control, a new circulation desk, new lighting, computer access and a large unfinished basement (at first occupied by the Stonington Historical Society Library and now by the Children’s Room, with books and computers and programs for children from infants to teens). The Stonington Free Library has continued to move forward, most notably with an ambitious capital campaign to provide funding for ongoing upkeep as well as to increase the institution’s endowment. In 2005 the library replaced its copper roof and skylights and restored its historic front doors. An extraordinary bequest from Jean K. Blanchet in 2016 further increased the Library’s endowment. One Hundred and Thirty Years later from when that first dime was passed from one hand to another the principle, the giving and support and the mission remain the same. Today we have approximately 3,300 active cardholders. We have more than 33,000 print and digital media items and our patrons have access to many online subscription services free of charge. In this digital age we continue to expand the reach of the Library far beyond our walls.